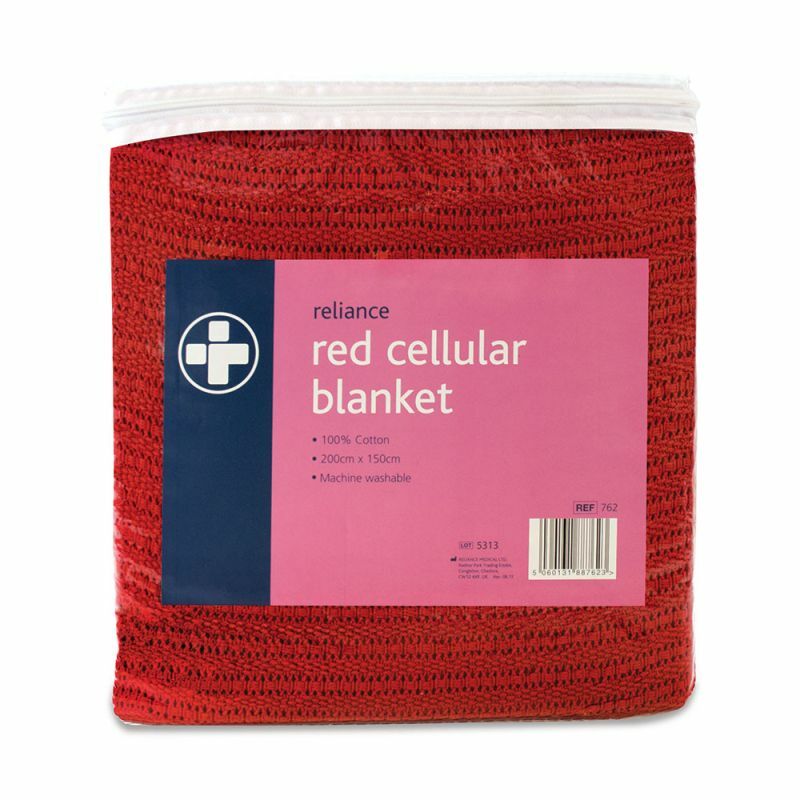 Cellular in design, this generously sized red blanket is designed to keep patients warm during a casualty. It is made from 100% natural cotton fibres to prevent any irritation to the skin and is safe to put in the washing machine. Due to its thick material, the cellular blanket serves other uses besides just covering a patient for warmth. When rolled up, it can serve as a comfort pillow to provide head and neck support, or even to elevate injured limbs, such as sprained ankles, to reduce swelling and maximise fluid drainage in the early stages of injury. 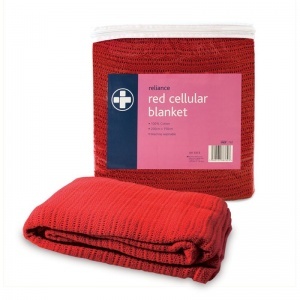 The Red Cellular Blanket is usually dispatched via First Class Royal Mail and delivery should be within 1 to 3 working days.